Of all the stars in the Teen Mom galaxy, perhaps no one is more adept at launching a successful side hustle than Kailyn Lowry. 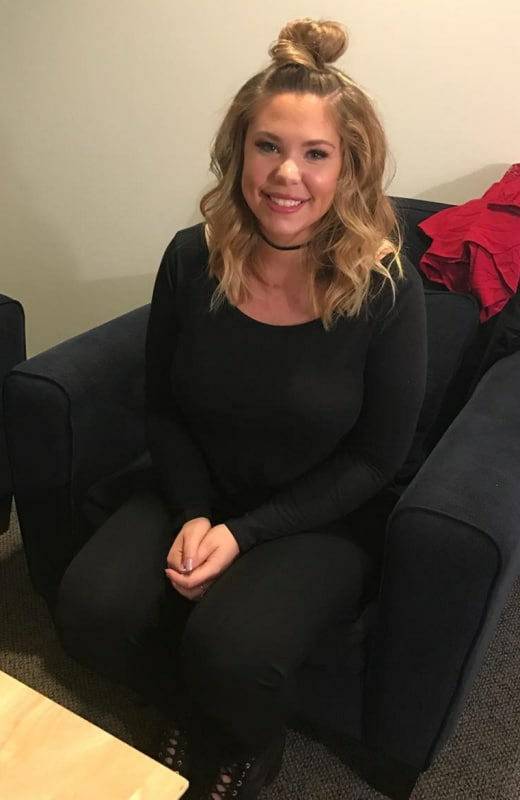 In addition to starring in one of the most successful reality shows on television, Kail hosts a popular podcast and has written several bestsellers. Earlier this week, Lowry announced the release of her signature line of haircare products. Some might argue that she’ll have a tough road ahead of her in such a crowded market — but Kail’s company is offering products with an unexpected secret ingredient. 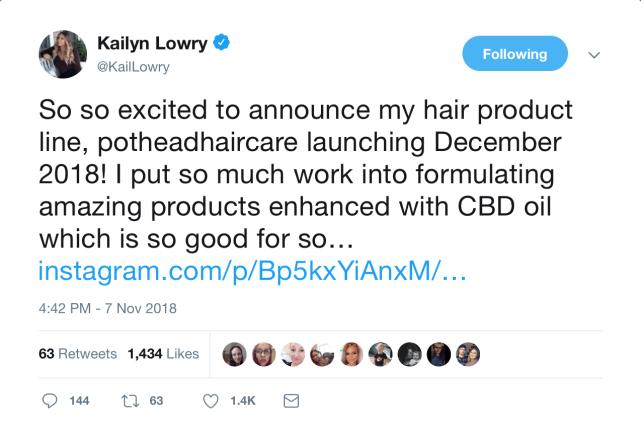 For several weeks, Kail has been teasing her hair care line on social media. Yesterday, she finally unveiled her signature products. 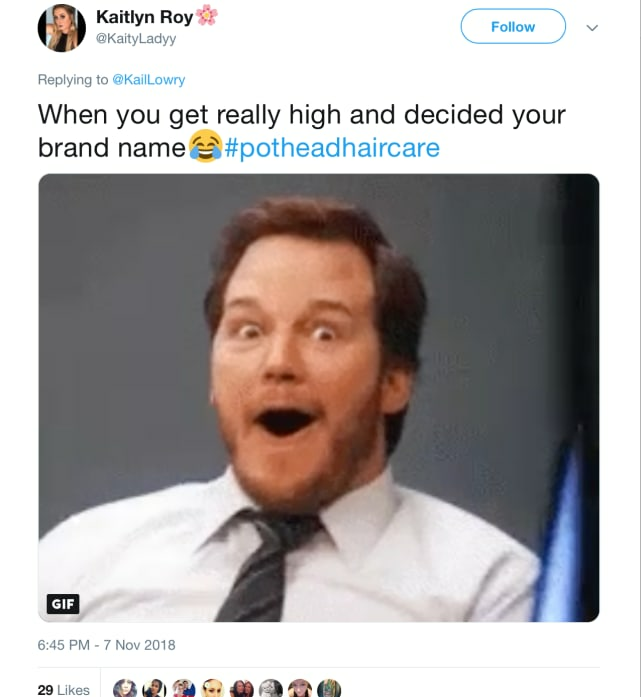 Kail announced the release of Pothead Hair Care with a tweet that immediately caught fans’ attention. 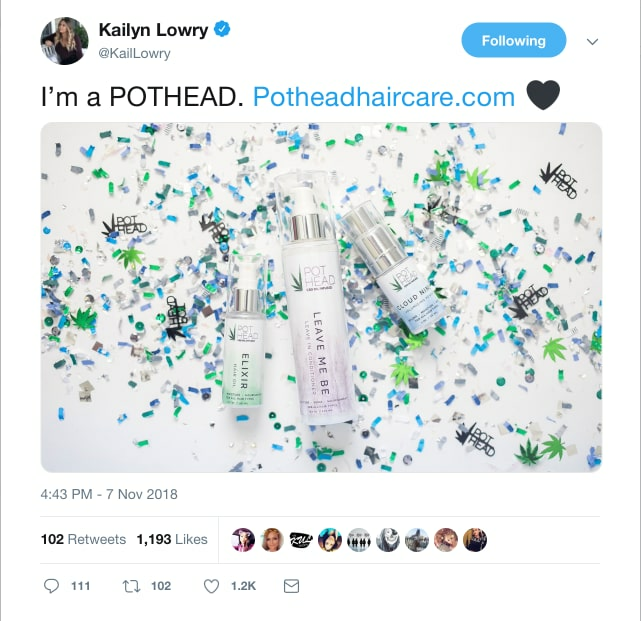 Now, the name Pothead is intentionally provocative, but Kail has been quick to point out that her products contain CBD — a product derived from the hemp plant that’s been shown to have a number of medicinal properties — and not THC. In other words, the Pothead line can’t get you high and presents no more of a health hazard than whatever products you already use. Thankfully, everyone who had doubts read Kail’s science-backed explanation and calmly conceded that they had rushed to judgment. Ha! Just kidding. This is the internet in 2018, which means everyone rushed to form an opinion, then dug in their heels and refused to be swayed in spite of compelling evidence to the contrary. Some of Kail’s followers were extremely blunt in their views on her new company. This one, for example, has some theories about how Kail came up with that particular name.